Opening up her favorite book at Austin Elementary, a student at the Harlingen Consolidated Independent School District is taking part in the districts newest program to encourage reading during summer months. This summer, Austin Elementary, along with the other 16 elementary campuses, are receiving visits from the district’s new mobile library. The goal of the mobile library is to provide books to elementary students as part of the Books 2 Go program. 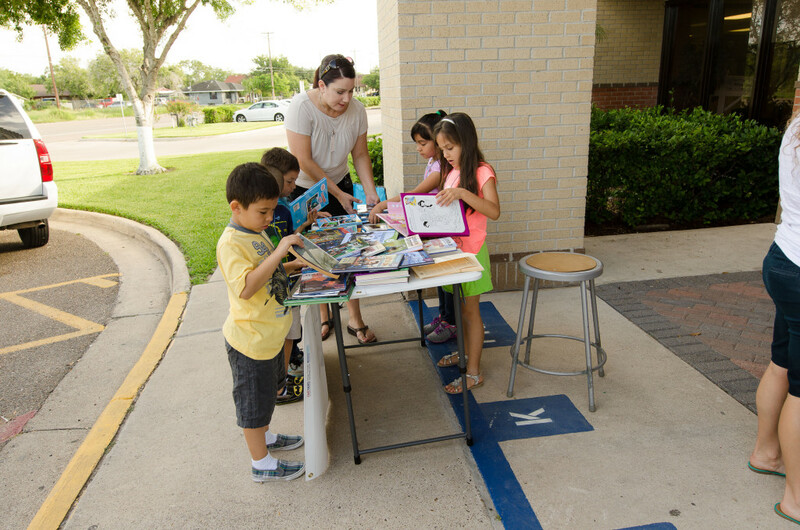 Students will have the opportunity to check out books for a week at the location where the book mobile is stationed. Students can also participate in story time and weekly giveaways. The program is available student in grades pre-k through fifth. 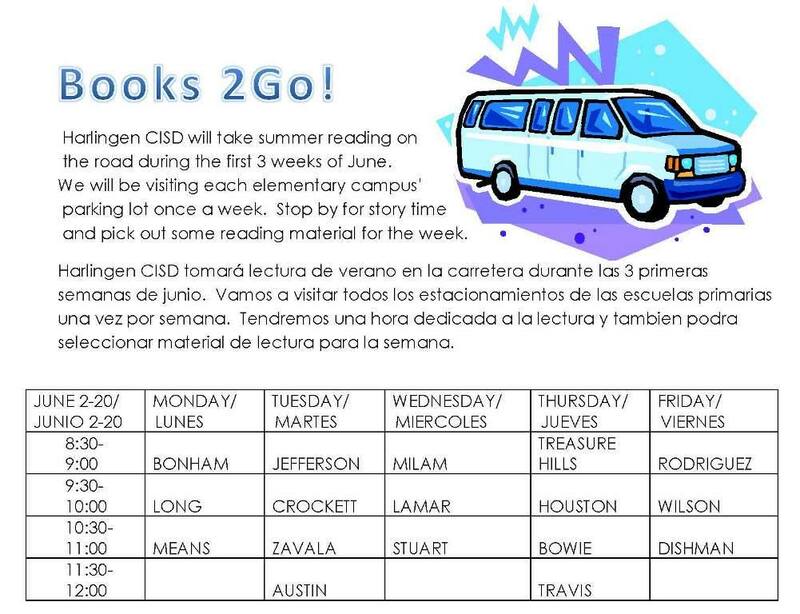 The book mobile will be visiting campus until June 20 and helps begin the district’s Summer Reading Program. To find out more about our Summer Reading Program click here.